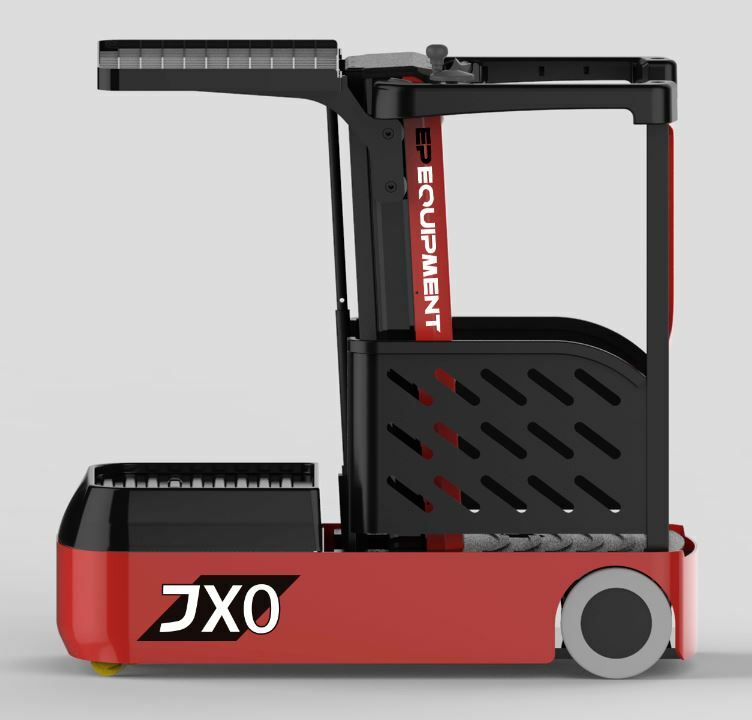 The JX0 from EP Equipment is the new generation low level order picker. The main advantage compared to its competitors is the extremely stable mast and the intuitive user interface. 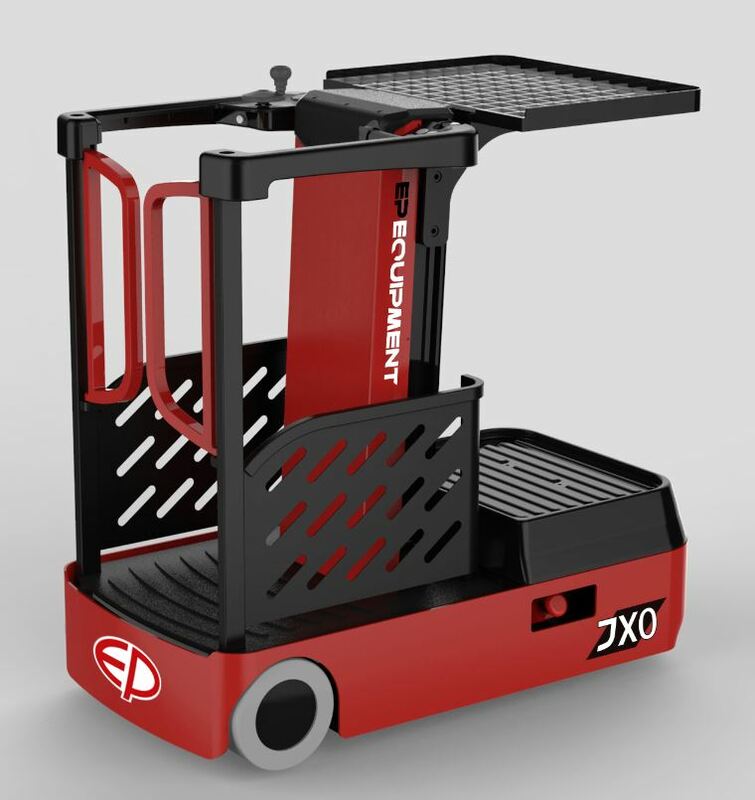 With its great ergonomics and simple design, the JX0 will undoubtedly increase efficiency in your warehouse and is also likely to help reduce injuries in the work place. Wit The usability in narrow aisles is made simple due to the steering wheel which always shows the driver the exact driving direction, which also helps reduce the risk of damage in the warehouse. The truck is also equipped with a large tray that can be lifted and lowered electronically. This work assist vehicle has not only been tested under European and US safety regulations, it also comes with a much more stable mast than most of its competitors ensuring complete safety and stability when working at heights. Safety foot and hand sensor avoids operators from making any costly mistakes. Due to it’s three-point drive system this truck can be operated with extreme precision when compared with the four-point systems. It allows a smaller turning radius meaning it can easily navigate through narrow aisle warehouse and shop layouts.